Width 12" Height 34-1/2" Depth 21" Vanity Base Cabinet with natural finish interior. This cabinet has 1 door and no drawers. 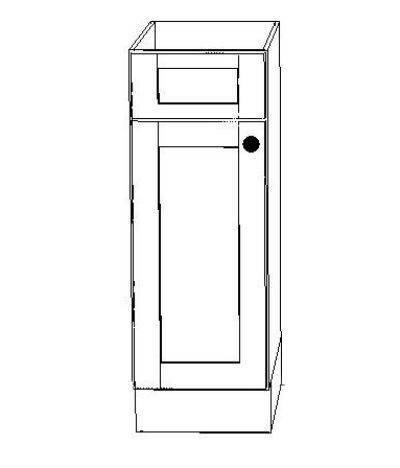 Cabinet features: 1/2" A-Grade Plywood Box, 6-Way Adjustable Door Hinge With 110° Opening Radius, Solid Maple Face Frame, Solid Maple Door Frame With HDF Center Panel.